First Mark Gowan talked about the Record Hints. They've been there for a while, but they are making things slicker with three new icons. 1) A gold icon for Record Hints. These are places where indexing has uncovered a document that FamilySearch has been able to determine fits into your tree. This is the same as the "Record Hints" that were previously on the right hand screen. But the cute little magnifying class icon fits into other parts of the user experience--the pedigree chart, the descendancy view, etc. That will help lead alot of the beginner users to the sources more effectively. A good step in the right direction. Other icons include 2) a blue icon for Research Suggestions and 3) a red icon for Data Problems. These weren't really explained, but I'm excited to explore these more. Anything that brings real research skills closer to the beginner is a good thing. The power behind these icons is what is important though. According to Robert Kehrer, FamilySearch has developed a really good algorithm that brings back good hints--not just hints-- an all important distinction. Robert explained that the algorithm collects all of the person's data, and then collects all of the person's relatives and their data. They take that whole cloud and compare it with the documents that have been indexed. Then Robert showed us the new functionality that shows the whole family in that record and puts them on one side of the screen and shows the family from the tree on the other side of the screen. Seeing those relationships helps a new researcher to make better decisions. They can then go through and attach the source to each person in the tree. This is a vast improvement over the previous user interface where you had to attach everyone separately through several steps. I applaud the movement toward source centricity and FamilySearch's continued efforts to make it easy for the beginner researcher to get into the documents easily. This is a great step toward making it easier for newbies to play together with more advanced researchers. FamilySearch will always need to work more on "newbie proofing" One of FamilySearch's main agendas is to attract the 90%+ members of the LDS faith to genealogy. Every step towards making it easy for newbies to focus on documents is a step in the right direction. And as I've said many times before, that new person may have a box in the attic that solves all of your issues. We have to love newbies if we are going to thrive as a community. But most of these screens work best with simple documents like the censuses. Once you get into more complicated documents, it gets a little trickier. There were the typical concerns in the room about the common tree aspect of FamilySearch. What about the sources that are hard to interpret? Once you get out of the censuses it gets trickier. Judy Russell mentioned a source where her Uncle is listed as Bertie and is listed as a girl when his real name was Bert. The regular criticism of creating a common tree rather than having individual trees like Ancestry and MyHeritage is that the records aren't clean enough to come to a common consensus. 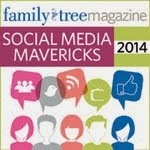 Robert and Mark had the best answer I've heard yet about FamilySearch's position on that. He said they are "Idealists" that they believe most of the disputes will come to a consensus. Lots of people think they are too optimistic. While there will be some unending disputes, we can hope that they are right. Time will tell. I personally love that they ask for a reason when adding a source to the tree and give us a place for discussions. While that won't help in some sticky situations with ongoing cousin wars, at least they are providing an avenue to capture that all important document *analysis* that most databases have overlooked in the past. I remember talking to Ransom Love and others about this in our affiliate meetings years before new.familysearch was launched. Even back then, one could see that the person with the most time to track the database is going to win the dispute--not necessarily the person with the most knowledge. FamilySearch has always had that optimism. In a couple more years, it will be interesting to see if the breakdown is 98% settled vs. 2% disputed, or 80% settled vs. 20% disputed, or 30% settled and 70% disputed. One can hope. Finally, the best part of the night was when Robert went to attach a source to a person on the tree and lightning struck outside at that exact moment. 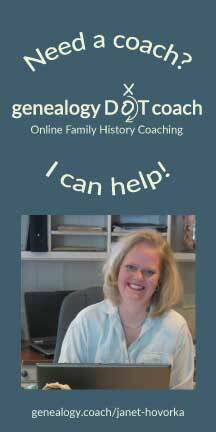 Considering that FamilySearch is sponsored by the LDS church, does that mean that your genealogy research can come with Divine approval? Now there is something to really hope for. I only wish it could all be that correct. San Antonio, Here We Come!